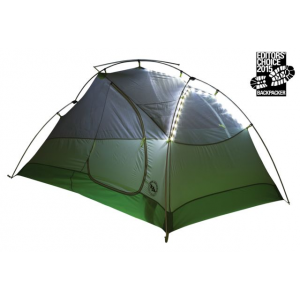 Light and spacious for a 1P tent. 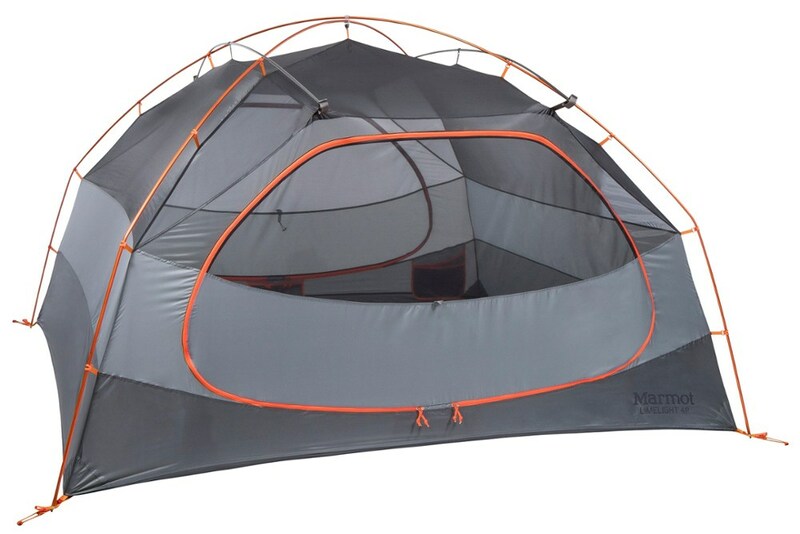 I've been searching for a 1P tent that balances space with weight. This is the one. Side entry facilitates the ol' in and out. Setup: Really easy setup. There's a solo collapsible pole system and one cross pole for the top. 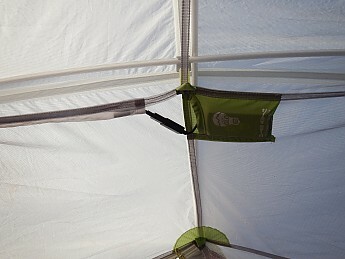 Just insert the poles into the 4 corners, clip the tent to the poles, and fasten the top cross pole, Done. No sleeves, no problem. The fly has 4 corner clips that make it very simple. Additionally, the fly fastens to the cross pole via an ingenious slide over that uses tension to keep it in place nicely. Self standing. You don't really need to stake it down in easy weather unless you want the vestibule space. Stability: Handles itself well in most 3-season and some 4-season weather. If staked down and guyed properly, it can take a good gale. It pitches pretty taut. I've used it in rain, snow and sun, all with good results. 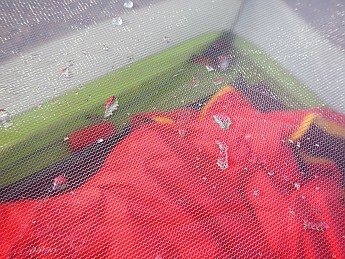 Weather Resistance: Considering the tent is only a couple years old, all of the weatherproofing works well and is intact. Pitched in the snow, the floor stayed dry. In rain, the fly and floor performed well. Dry through the night even when pitched on snow. Self supporting, so no need to stake down if not in the wind. 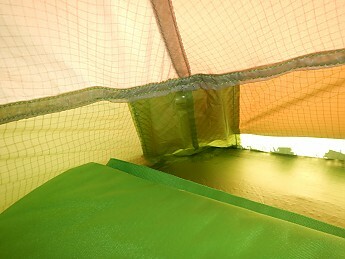 Ventilation: I would say that this is the tent's only weakness so far. 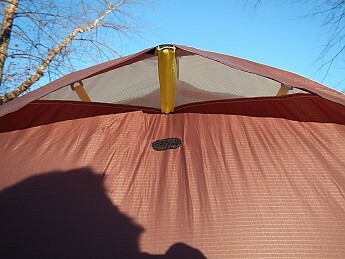 It does have a considerable amount of condensation in certain conditions (big temp differences in and out of the tent). Since the fly is a straight zip up, you have to decide whether you can leave the top open for ventilation. 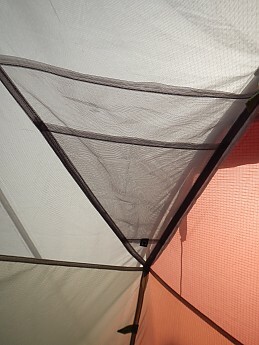 There is a small vent at the front of the tent, but by itself, it is not very effective. If you can part the fly, the circulation between the two openings increases the air flow significantly thus reducing the condensation. If the fly door is closed tight, there can be a exceptional amount of condensation that builds up in some conditions. I don't worry about condensation any longer because I've found that the conditions that cause it can be so multi-faceted. I just bring a chamois cloth and wipe down in the morn if necessary. 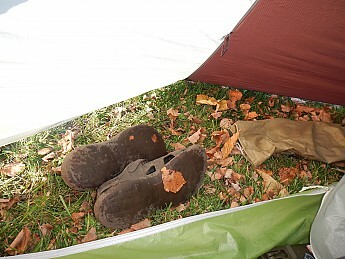 Where the sleeping bag was against the tent. 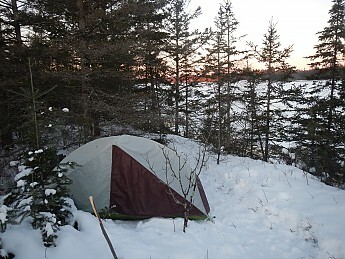 Mind you, I was camped by a river in 15°F weather where I just returned from a strenuous hike and then crawled into my bag all sweaty. All those things beg for condensation. 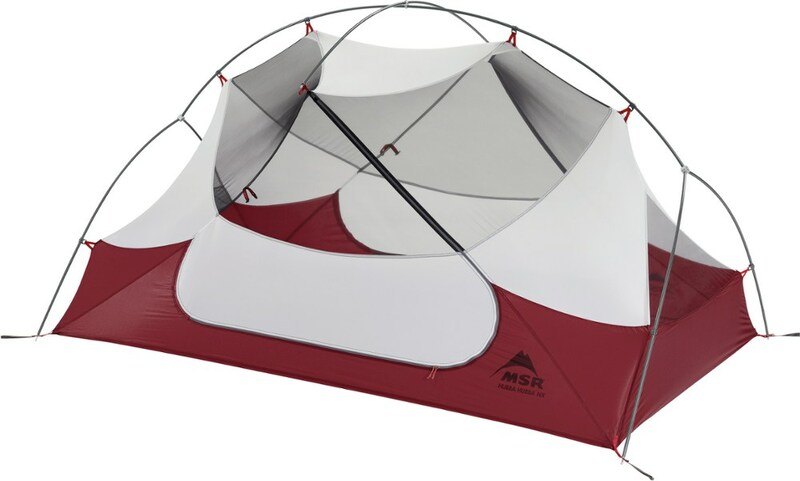 Room and Storage: I love that this tent is large enough for me to have an extra foot of space beside me. It's long enough too! I am 5'11" and my head doesn't press the wall. Although it's not enough to store a full pack inside, it is enough room to have clothes, knife, books, etc. near you without them disappearing under your mat. The vestibule fits a 65L pack quite nicely. My 95'er is a tight squeeze under there though. There's plenty of head room to sit up, and change, move around, etc. There are large double stow pockets (high and low) as well as a small compartment in the ceiling for an electronic device (w/wire porthole). Ample room for 1P. Room enough for a pooch? Lots' o room in the foot box thanks to the triangular pole configuration. 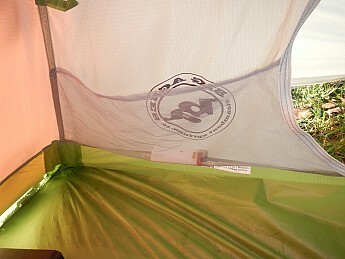 Double ceiling pocket with small exit on bottom for headphone wire on your electronic device. Might you use a solar charger outside that could link onto your phone perhaps, eh? Packability: Packs down surprisingly well. I measure it slightly over 18 x 5". 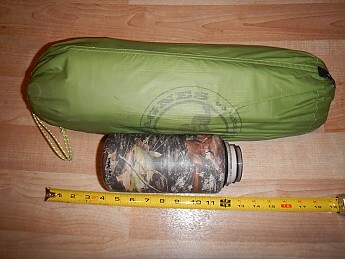 Tent compared to 32oz bottle. This is with stakes, fly, groundsheet, tent, fully packed. Easy of use: The door opens and closes easily, but the fly door has two velcro swatches that interfere with an easy zip open. Sometimes you have to pull the velcro open before you can get past it with the zipper. Two velcro tabs get in the way of fast zipping and unzipping, but they are well appreciated in windy rain. Features: Mountain Glo. I was really curious about the Mountain Glo feature. The Mtn Glo slips into a small built-in compartment in the ceiling. The Glo has two settings: full and 1/2. Even on full (new batteries) reading is somewhat difficult. The ambient light is barely enough to make out the letters in a book without minor eye strain. I would say that it makes for a romantic atmosphere, but since it's a 1P tent, romance is a moot point. I do appreciate being able to take out contact lenses without holding the flashlight in my mouth or trying to precariously rig the light to the ceiling. For that alone, I'm giving Mountain Glo a thumbs up. 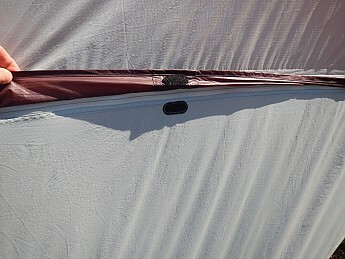 As a point of interest concerning the Mtn Glo: there is a switch on the battery box that you should turn to off position when the tent is not being used. I suggest taking out the batteries (3 AAA) between campouts. My batteries formed that white precipitate around the anode and cathode when left in the box. I had to take them out and clean out the battery box with a wire brush. 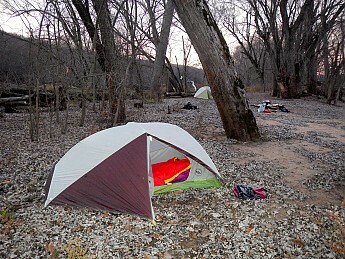 On my first below freezing campout, the Mtn Glo for some reason did not work. The batteries were new, the terminals were clean and the switch was on. 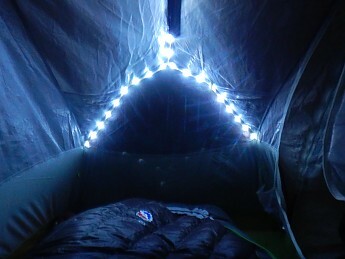 I thought that maybe the LEDs were not meant for colder temps but then I went on another campout that was sub zero two months later and they worked just fine. ?Dunno. 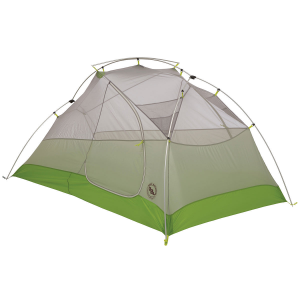 Construction and Durability: Big Agnes uses lightweight materials so many people question how long they will last. I can't rightly answer that just yet since I've only had the tent for two seasons now. I will say that I try to take care of my gear and by the looks of things, I don't see why this tent won't last me many years. The notorious stress zones are reinforced. 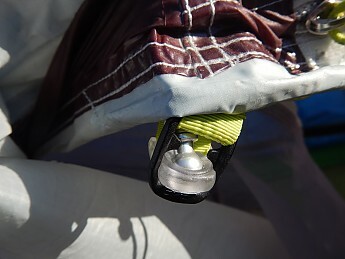 Although the stake points are tough nylon webbing, the factory stakes have sharp edges. 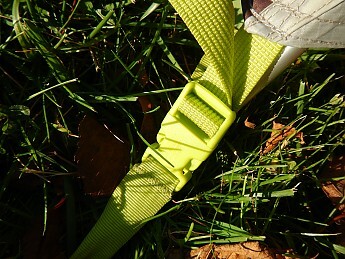 Another reviewer commented that the standard stakes are sharp enough to cut the webbing in sustained winds. To avoid this potential problem, I tied a short piece of paracord to the ends of the webbing, tying them off into an eye. I run my stakes through them to avoid damaging the tent. It works just fine. reinforced corners, guy points, etc. I have used the Rattlesnake in a variety of conditions in all four seasons now. 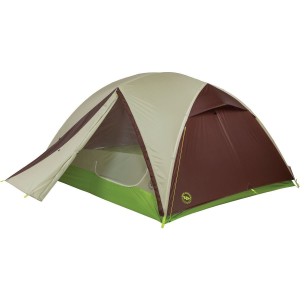 I really like this tent. The size is perfect. 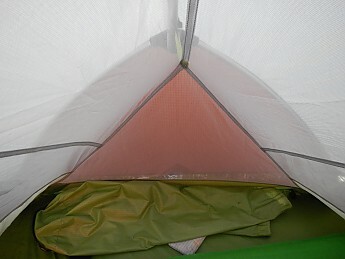 It feels like a tent in stead of a high roofed bivy. The weight is green zone for me. It's really intuitive to set up and take down. I can pitch it and still be somewhat unnoticed due to the colors. It's free standing so I can go on ice or rock. 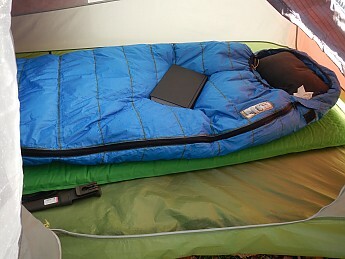 I have finally found a reason to trade in on my existing 1P tent (Sierra Designs Vaporlite). Nice job, Big Agnes. The tent is still performing like a champ. I did have a slight mishap. When inserting the metal pole into the plastic tri-hub, I didn't insert it all the way. I went to push the pole into the corner grommet, and snapped a piece out of the plastic hub. It was my fault for not inserting the pole all of the way in. I'll have to contact BA and see if I can get a replacement for a fair price. This past spring I contacted Big Agnes and asked to purchase a new pole hub. I let them know that it was my fault and that I did not expect any warranty coverage. They asked for my address. In one week, I had a brand new pole hub, free of charge, no questions asked—only instructions on how to properly remove the shock cords. Way to go, BA!!! Loved the tent all year long, again. The MTN Glo stopped working. I trouble shot it; replaced batteries, checked connections/contacts, etc. I'm usually pretty good about tinkering with and fixing things but no dice this time. Oh, well, the option was nice while it lasted. Maybe I'll purchase the replacement kit, maybe not. Great review and pictures, Jesse! Thanks. You got it! I have been waiting to review this one for a while but wanted to really get it into the field first to get to know the ins and outs. Nice review, Jesse. 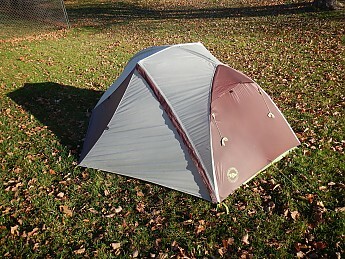 I'm not a tent guy, but you make this tent look tempting. Thanks for the update, Jesse. I hope the replacement works out. Thanks for the update, Jesse. Will you reach out to Big Agnes to let them know about the Mtn Glo failure, Jesse? I plan on it. I think it would be out of warranty so I wouldn't expect anything to come from it but who knows?, some companies are fantastic with customer service. I figure, it doesn't hurt to ask. And at least they'll know if there are issues with the product. 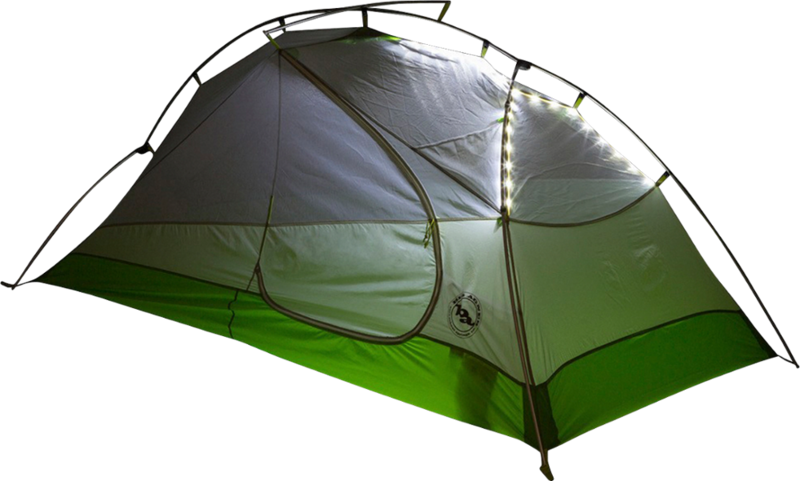 The Big Agnes Rattlesnake SL1 mtnGLO is not available from the stores we monitor. 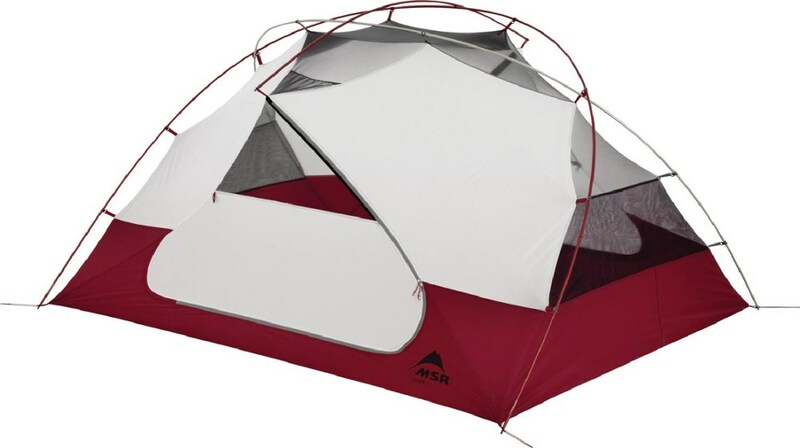 It was last seen April 23, 2019	at REI.